A deeply dark and devastating experience, it's one of the best directorial debuts in years. Debut filmmaker László Nemes’ Son of Saul is, by a fair margin, the best film that I saw at the 2015 Cannes Film Festival. It follows our protagonist, Saul (portrayed with great nuance and facial acting skill by first time actor Géza Röhrig), over the course of two chaotic days in Auschwitz as the camp nears its liberation. Saul is what is known as a Sonderkommando, a prisoner marked with a red X on their back to signify that they’re responsible for helping dispose of the bodies of fellow Jews whose lives have been taken in the gas chambers. Saul’s motivation in the film is introduced when he spots the body of a young boy who he takes to be his son, and he spends the rest of the film in search of a rabbi who can assist him in providing the boy with a proper burial. 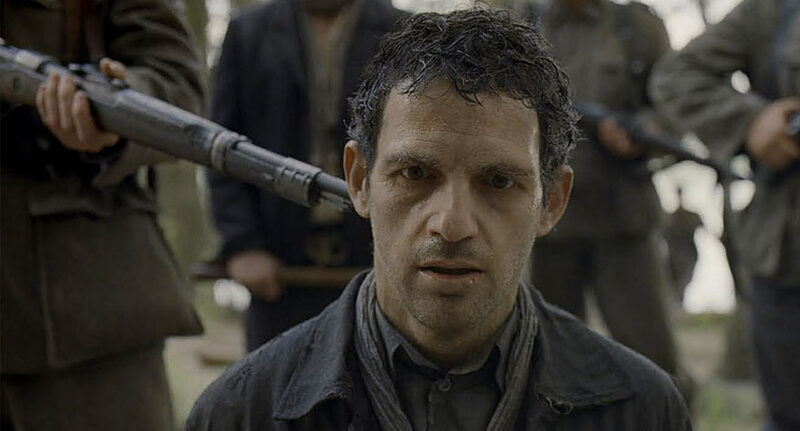 As one can imagine from only having read a summary of the film’s narrative, Son of Saul is a deeply dark and devastating experience. In total, it’s composed of what can’t be more than one or two dozen long takes. Nemes and his skilled cinematographer, Mátyás Erdély, already had me in tears within the first few lengthy shots. I cannot think of a film that better utilizes shallow focus; there is so much noise and movement and chaos within the first ten minutes of the film that one may not understand exactly what is going on, until a pile of still bodies sneaks into the corner of a frame, almost wholly out of focus, and suddenly the realization hits. That was when I first lost it. It’s easy to tell that Nemes worked as an assistant to master filmmaker Bela Tarr, since Son of Saul’s atmosphere is reminiscent of the intense riot scene in Tarr’s Werckmeister Harmonies. Both filmmakers craft complex and extended one-shot scenes with as much, if not more, going on in the background as the foreground. Nonetheless, the way Erdély’s 35mm camera follows Saul throughout the camp, never breaking concentration on either his face or the back of his head, is more reminiscent of the legendary Alain Marcoen’s famous tracking shots (Rosetta, La Promesse, etc.) than Tarr’s cinematographers. Erdély is even smoother and more precise than Marcoen with the movement of his camera though, further allowing the audience to forget they are watching a film and experience full immersion. I can’t remember the last film I watched that was able to transport me into a frightening past the way Son of Saul is able to. Another one of my favorite directorial decisions made by Nemes was his choice to avoid tapping into Saul’s mind or providing an inner dialogue. Rather, the camera hovers around his head constantly, always remaining external, his audience perpetually existing as flies on the walls of Auschwitz. Some viewers may have difficulty with this decision, as it makes it more difficult to understand the reasoning behind Saul’s actions, especially if the boy is not actually his son. Fortunately, the ending sheds some light on the significance of the role of children in the film, although admittedly, it was a denouement that caused a couple of my viewing companions to scratch their heads. To me, however, it isn’t so much a confusing ending as it is a complex one (much like the entirety of the film), and a conclusion that I feel is attempting to make a commentary on how each generation is affected by the actions of the last. In order to assess the finale beyond that though, I will most certainly need to see the film another time or two. Until then, I can safely deem László Nemes as a novel name to look out for in the world of cinema, and I’m anxiously anticipating his next effort. Once-in-a-lifetime experiences abound at the SF Silent Film Festival.